After he posted here last night at the end of a long and gruelling day, I was relieved to see JD looking a lot happier and almost unburdened. When you mostly write for your living and then you suddenly stop, you lose something vital. Writing your thoughts down is integral to processing them – to the extent where many of us think in text rather than in voice. So I’m now having a go at blogging in the hope that it’ll help me make some sense of what’s happening to us. Apologies for those who are getting used to JD’s spare writing style. He’s a pro- I’m a self-taught rambler. 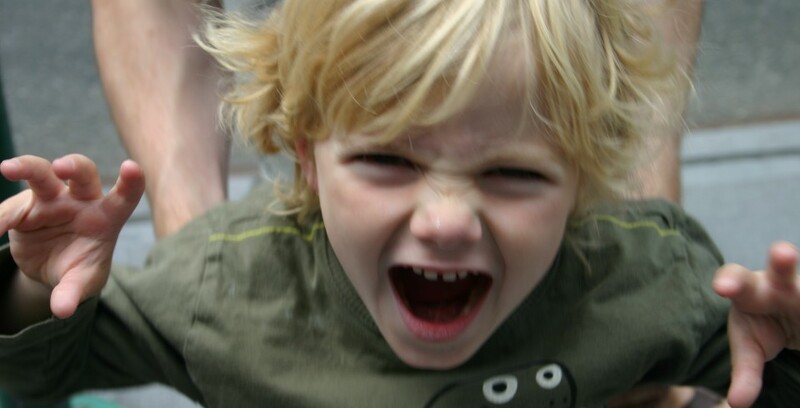 1. it’s a cliché – but kids are adaptable, trusting and optimistic. While Davidson and I perspire at every test and have to remember to breathe sometimes, Hen is mostly cheerful and full of energy. This is despite being loaded up with meds we are repeatedly told may make him very poorly. He can find something to divert him or get excited about every five minutes – right now he’s thinking up ways to stop his monkey from peeking at the birthday present he’s wrapped up for him. He can’t go to cafes, restaurants, museums, on public transport, swimming, the cinema, the theatre – any place you’d take a kid in wet London weather. He leaves the house very occasionally, but has found millions of ways to entertain himself. And while he’s been on drugs that affect his quads and give him bone pain, and he has at times been unable to climb two stairs or walk further than the bathroom, he is still telling everyone he can run faster than Usain Bolt. 2. People are bloody lovely: We already knew this. Three years ago Huck, Henry’s brother was born thirteen weeks early. He was in hospital for 101 days, and on some of these he had to fight for his life. During this time our family and friends took care of Hen so we could be there for Huck’s battle. They cooked for us, did our laundry, did our admin, held fundraising events for the prem baby charity, and supported us in tons of ways – especially morally. This time it’s all happening again but to add to the existing support network we have now been fortunate to add Hen’s school friends and their lovely parents. We are so grateful to the old guard who have rolled up their sleeves again for us – especially our siblings and their spouses, in whom we are supremely fortunate – but also the new friends. And our workmates, who have now become friends too. Both of our bosses have been incredibly human and ridiculously generous. Mine has even given Henry a pre-paid account with Climate Cars (they’re carbon-neutral, and fab!) to ferry him to hospital and back. This has been a precious gift. A very old friend, Pam, lives in NY and has developed a three-year running programme to support Henry from across the pond, throughout his treatment. 3. (This one is both a cliché and a run-on from the section above) It takes a village to raise a child: Like many people who move to a neighbourhood in their twenties, we didn’t know anything about Tufnell Park. We went to work, drank in town and came home only to sleep and veg. As the kids have grown we have learned about N7’s nooks and crannies, unexpected quirks, the shopkeepers and even (despite what many of our fellow Northerners think about That London) our neighbours. It’s been one of the joys of parenthood for us. We have two retired teachers who are coming in to work with Henry on fun school-stuff, and offers of many weird and wonderful types of help from so many local people of all generations. The lovely actress from three doors down called in last night with a job-lot of Ruby Violet ice-cream, a favourite of all Tufnellians. A few seconds ago Henry had a big cheery wave from our bin-man. It all helps. It’s been a waiting game this week. 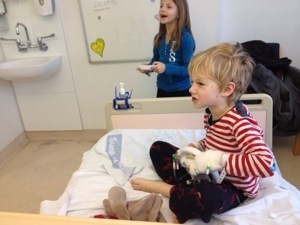 We are back at Great Ormond Street Hospital this morning for the results of Henry’s ‘Minimal Residual Disease’ test. Unfortunately they are not ready. 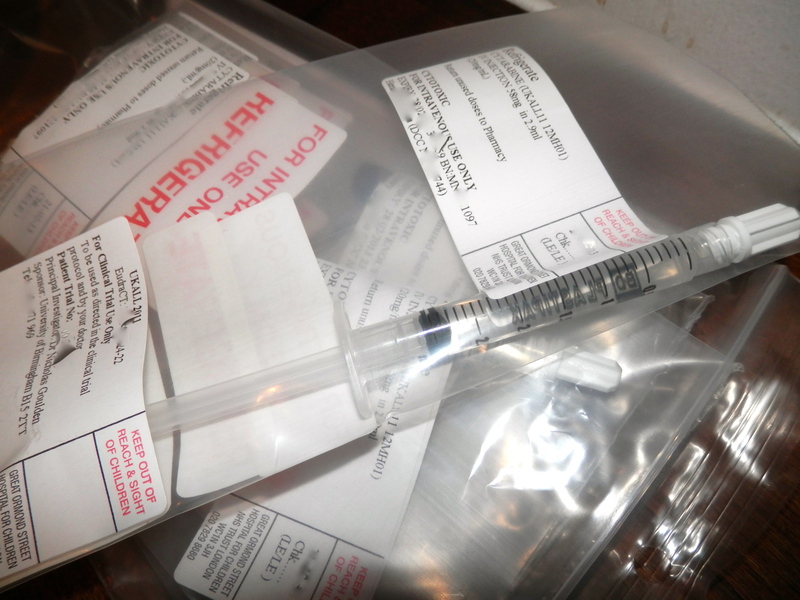 He has also had another lumbar puncture to give chemotherapy into his spine to keep the leukaemia out of his brain and central nervous system (intrathecal methotrexate). The headline news last week was that Henry had responded well to treatment. And although there was no sign of leukaemia cells in his bone marrow using ordinary tests, the MRD test would set the course for future treatment. The MRD is a highly sensitive molecular technique that searches out the remaining leukaemia cells and gives the doctors an idea of how many remain. They can then decide the level of therapy that will be needed to kill off all the remaining leukaemia cells. 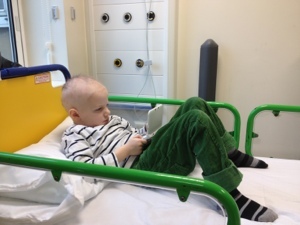 The test looks for the DNA of Henry’s individual leukaemia cells which were identified in an earlier procedure but as the DNA is different in every case , it can take longer to identify it in some patients. There’s a slim chance the test won’t work in which case Henry will stay on the lighter toxicity treatment regimen he’s currently on… More likely we’ll have a definitive result in a few more days. This entry was posted in Leukaemia and tagged Leukaemia, minimal residual disease, MRD on February 13, 2013 by tinketytonks. 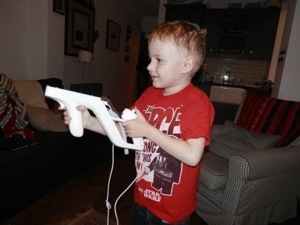 Henry announced this week that he needed a new profile on his Wii console. You are able to create a character to take part in the games that has quite a close resemblance to yourself. Henry decided it would be wrong to have his usual one as he will shortly have no hair. It took him a couple of minutes to create a character that would not be out of place in an episode of The Wire – a formidable avatar you would not want to meet down a deserted alley at night. This entry was posted in Hair loss, Leukaemia and tagged Henry on February 13, 2013 by tinketytonks. A quickie: Henry has just had his procedure and all seems well. Hen fought the anaesthetic gas while sitting on my lap. I’m still feeling woozy from all the gas that missed H and came my way instead. While H was under, his consultant came to talk to us. We’ll know next week which regimen he’s on and I’ll post on that later. Suffice to say the rates of cure are extraordinary. This entry was posted in Uncategorized on February 6, 2013 by tinketytonks. We’re back at Great Ormond Street Hospital in the morning for Henry’s Day 28 Minimal Residual Disease Test. It’s an important milestone. Henry’s been blasted for the past month with steroids (dexamethasone), and chemotherapy (intrathecal methotrexate, vincristine and asparaginase). The aim has been to destroy the leukaemia cells in his bone marrow and stop it spreading to his brain and spine which is so far clear of disease. 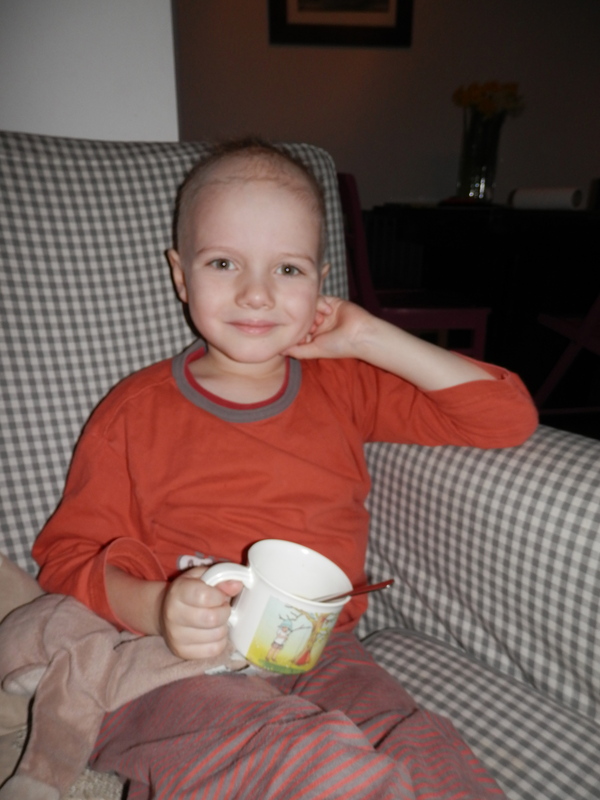 Tomorrow’s MRD test looks at how many leukaemia cells are left in Henry’s bone marrow after his month of treatment. It is a really good way of determining how well he’s been responding to the therapy. It will also determine which treatment regimen he’s on and how much chemotherapy and other treatment he’ll need – especially during the next phase. 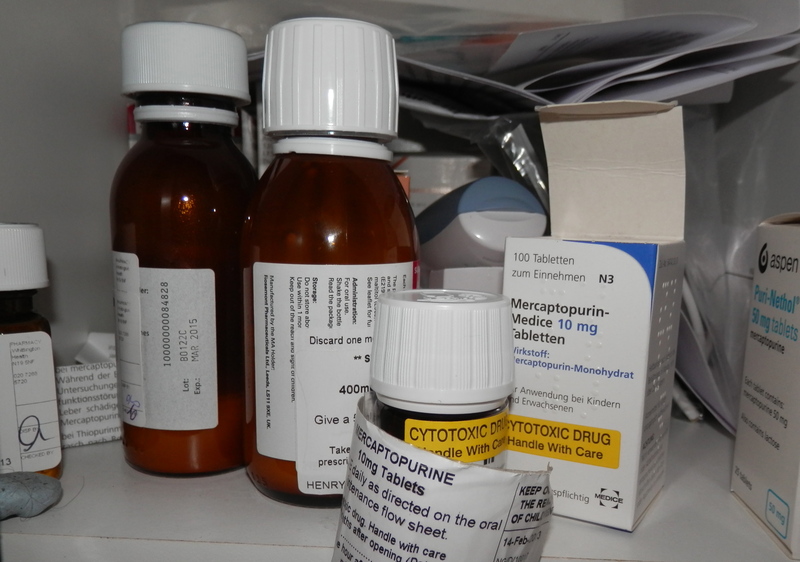 While he’s asleep tomorrow, they’ll also take the opportunity to give him another dose of intrathecal methotrexate – a chemotherapy which is given through a lumbar puncture – or less technically as an injection into his spine. Henry’s in high spirits. Although he’s irritated by having to go for more surgery, he’s most annoyed at not being able to have anything to eat or drink in the morning. I wish our concerns were so straightforward.